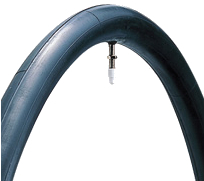 The Super Tube is 50 percent thicker than regular butyl tubes for staunch flat protection. Made of a super spongy compound, the Super Tube is the only choice for DH or anytime you can’t afford a flat. It’s the only tube out there that can keep-on keeping on.